This article gives you complete information about The City of Coventry Stadium - Football venue for 2012 London Olympics. More details about the event conducted in the venue, location of the venue etc are quoted in this article. Read the article full for more information. Football will be an important and exciting event in 2012 London Olympics. 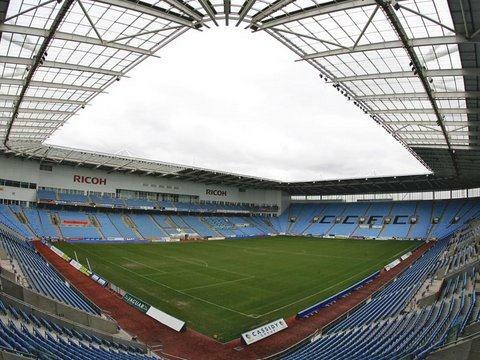 Some matches of Football tournament for 2012 London Olympics is decided to be held in The City of Coventry Stadium. The City of Coventry Stadium is located in close to the city centre of Coventry in the Midlands. There will be 2 events conducted in City of Coventry Stadium for 2012 London Olympics. 12 matches of Football is conducted in this venue which also includes women's Bronze medal match. The capacity of the stadium is 32,609. The stadium was opened in the year 2005 and this stadium was the home ground of Coventry City football club. More details about the location of the venue, capacity of the venue, events conducted in the venue for 2012 London Olympics are given below. How to reach The City of Coventry Stadium? Trains and buses are available to reach The City of Coventry Stadium. Trains are available from stations which includes London, North West England and the south coast, Birmingham and throughout the West Midlands. Bus numbers and routes are given below.